XProtect Central is a significant addition to any multi-site environment based on Xprotect Business, XProtect Enterprise or XProtect Retail installations because it delivers central overview, control and scalability. The XProtect Central solution offers you central scalability of monitoring any number of XProtect Enterprise installations. Video surveillance can be a mission-critical operation that requires maximum up-time and total overview. Networked video systems include a variety of servers and devices that must be running properly in order to play their part in the overall security implementation, and the video paths from each camera across the infrastructure to the recording server contain numerous �points of failure�: if any of the devices fail to record or display the video, the outcome for the organization could be devastating. XProtect Central can help prevent this. It provides continuous monitoring of the operational status and event-triggered alarms from XProtect Enterprise servers, video surveillance cameras and external devices like access control units from different vendors. 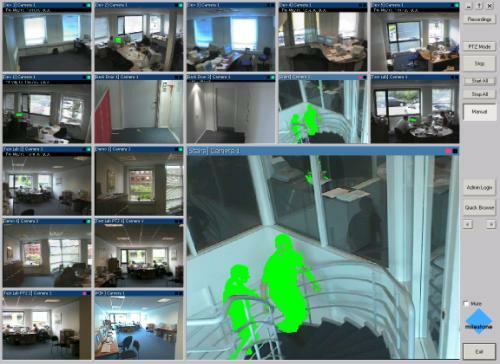 This powerful solution gives security operators instant graphical overview of alarms, and notification on technical problems with immediate visual verification so you can resolve issues fast. [Find out more...] Milestone Xprotect Central "Factsheet" , 217kB pdf file.